Keith at HousingPanic reports about a Realtor whose recently property is declining fast. This same Realtor wrote in May 2006 that "I see an awful lot written about the real estate "bubble" bursting, but I've yet to see evidence of this happening in Phoenix." Everyone is buying 'a year from now.' (RECOMMENTS) from Neil the Got Popcorn guy? Lawrence Yun was bashed in the Times (from Britain). TI am a co blogger with Keith at the Lawrence Yun watch. Here is an excerpt. So irritating has NAR become that Yun now has his own hater blog (Lawrenceyunwatch.blogspot. com). The same people ran a blog blasting his predecessor, David Lereah. To be fair to Yun, Lereah seems the more deserving target. Lereah is a classic booster who once advised people it was a great time to buy and to sell. Agreed. Lereah is indeed a more deserving target then Yun. Yun has learned much from his mentor David 'the paid shill' Lereah. 8503 2nd Ave, Silver SPring, MD is located right across the street from the Silver Spring metro station in a desirable location. Its is 2br, 2.5 bath townhouse, 1,216 SF. This is located in the metropolitan Washington, DC area. The previous owner kept on chasing the falling housing market without success. Please note this property was bought originally from the developer for 279,915 on 06/21/2000. So in about 5 years the property went up 136% for a sale of 661,000 in late 2005. If it had appreciated by 6% a year (compounded) the price would be 375K in late 2005. If that theoretical 6% had continued for another two years it would be valued at 421K today. It just sold for 565,000 on 11/27/07. Which is 14.5% less then the previous price paid in October 2005. In real dollars the current owner paid about 20% less then the 2005 price. Prices are falling in the Washington area. This is a prime location across the street from the Silver Spring Metro station and inside the Washington Beltway. Home prices fell 6.7 percent in October, compared with a year ago, according to the S&P/Case-Shiller 10-city home-price index, a record drop as housing markets continued to deteriorate.It was the largest drop in more than 16 years and marked the 10th consecutive month of price depreciation and 23 months of decelerating returns. "This is just the beginning," said Peter Schiff, a Darien, Conn.-based investment adviser known for his bearish views of the housing market. "Pressure is there for much, much lower prices." Miami was hit with a 12.4 percent decline in the month, the most of any area. Tampa fell 11.8 percent and Detroit, 11.2 percent. Sun Belt cities have suffered deep losses with San Diego down 11.1 percent in the past year, Phoenix off 10.6 percent and Las Vegas 10.7 percent. In Los Angeles, a huge market, home prices have fallen 8.8 percent. In the Washington, DC area the price index fell 7.0% compared with October 2006 . Prices continue to fall in the Washington, DC metropolitan area. In real dollars prices have fallen about 10% this past year. For more numbers go to Case Shiller S&P Index. The prices declines in the metro area are accelerating with the Case Shiller S&P Index showing October prices declines of over 1.1%. For comparison purposes in October 2006 prices fell .4%. This housing bust is accelerating, spring will not stop further prices declines in the Washington, DC area. Be careful falling knives are dangerous. 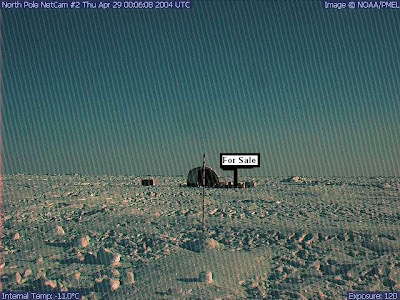 This classic arctic home located at 1 Arctic Lane, North Pole, can be yours for the price of 999,990. Price reduced, was 1.3 million. Unique location. On top of the world. Cozy 300 sq. foot home. Peace and serenity. They aren't making any more ice . Ho! Ho! Ho! Loudoun County, VA - the wealthiest county in the nation (income per household) is facing a budge shortfall of $251 million due to housing downturn. With a population about 275,000. That is a shortfall of almost a thousand dollar per capita. "It's difficult to overstate the importance of real estate values on the county budget. In the budget adopted by supervisors last spring, taxes from real estate accounted for 72 percent of all county revenues, most of which is used to fund school projects and programs"
Fed Shrugged as Subprime Crisis Spread reports the New York Times. Despite Greenspan's many recent public appearances where he attempts to absolve himself of wrongdoing during the bubble years, he did indeed did act irresponsibly. This blogger surely blames Alan 'Cheap Easy money' Greenspan. Housing Construction Hits 16-Year Low (AP). This is not population adjusted. Yikes! Treasury Secretary Henry Paulson wants to temporarily allow Fannie Mae and Freddie Mac to purchase so-called jumbo loans, which exceed $417,000. 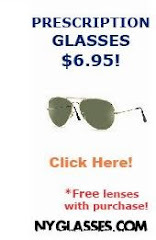 I'm against this idea. These two irresponsible relatives already have taken too much risk. Remarks Prepared (pdf) for Pat V. Combs 2007 NAR President REALTORS® Conference & Expo General Session November 14, 2007 Las Vegas, NV. Here is snippet "The future is daunting, and there are no guarantees. While others in our industry may be scared of the future and the challenges that lie ahead, I know 1.3 million Realtors who are determined to succeed – no matter what. That’s all the inspiration I need in ANY market. " Yuck! Does success depend on assisting millions of Americans in commiting finacial suicide by buying more house then they could afford? The new monthly numbers for November 2007 are out from the MRIS (Metropolitan Regional Information Systems) the multiple listing service for the area. YoY = Year over Year, that is the comparison between November 2007 and November 2006. These numbers include all housing units ( not just single family residences but also condos and co-ops). These are for housing units listed on the MRIS's MLS (and thus do not include some foreclosures or private sales, or many new home sales). These numbers show a declining housing market in the Washington - Baltimore area compared to last year. For every jurisdiction listed, the number of housing sales fell in November compared to November 2006. In most the median sales price fell, while the mix of housing units sold did not change dramatically. The Washington - Baltimore area is not recovering from the housing decline. Prices contine to fall. Far out suburbs and condos are experiencing larger price declines. In the metropolitan area a declining housing market is reality. This coming spring's real estate season will not be a recovery time in the DC - Baltimore area for real estate. Housing busts usually last many, many years. It is far from over. Is It Time to Buy More? Is it time to buy more? How is consumer spending holding up this Christmas season? Will people tap their remaining housing unit ATMs to buy more cr*p? In a scathing piece Slate columnist Daniel Gross rips Lereah and his successor Lawrence Yun to pieces. Mr.Gross would be welcomed as a guest columnist for the David Lereah blog or the Lawrence Yun Watch blog. But within the fraternity of financial and fiscal forecasters, the seers at the National Association of Realtors—longtime chief economist David Lereah and his successor Lawrence Yun—may be uniquely ill-equipped to deliver sobering forecasts. They work for a trade group whose mission is to buck up the spirits of real-estate brokers. And real-estate brokers—who live to sell, promote, and market—are constitutionally disinclined to hear anything but good news. Indeed, as I noted last summer, Lereah's penchant for putting out positive spin on dismal housing numbers inspired a blog and led critics to dub him the Baghdad Bob of real estate. Lereah has moved on. But Yun has picked up where he left off. In addition to claiming that the sun is shining brilliantly even as rain pours down from the heavens in a mighty stream, Lereah and Yun have also hazarded optimistic, educated guesses about the future. In February 2005, Lereah published a book that is my candidate for Longest Title Ever: Are You Missing the Real Estate Boom? : The Boom Will Not Bust and Why Property Values Will Continue To Climb Through the End of the Decade—And How To Profit From Them. Naturally, the boom busted soon after publication, and property values began to descend. Thanks for the mention of my other blog (David Lereah Watch). Daniel Gross is right on the money when he writes "David Lereah and his successor Lawrence Yun—may be uniquely ill-equipped to deliver sobering forecasts." It is refreshing to read people in the press call out these paid shills from the NAR. Its been busy, and my posting have been non existant for about a week. Here is a Bubble Sphere Roundup. HousingTracker offers useful stats that track inventory and median asking prices in a bunch of metropolitan areas. Washington, DC shows year over year median aksing price declines of 14.6%. And an inventory increase of 27.3%. The Northern Virginia Fallout Bubble Blog is showing dramatic price declines in the outer suburbs of Washington, DC. Prices have declined much more in the outer suburbs then in the inner suburbs or in DC proper. Housing Panic reports on Jesse Jackson's march on Wall Street to protest the foreclosure crisis.